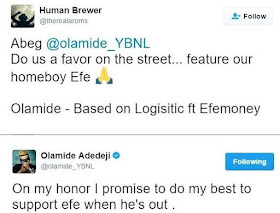 A day after Efe won the Big Brother Naija 2017 reality show, YBNL boss, Olamide has made a pledge to support his music career. 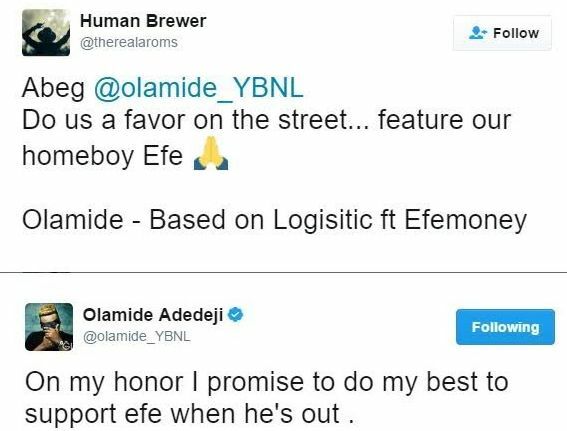 Hopefully, they will be working on a new single titled 'Based On Logistics' which stands as Efe's slogan. The move will be a great step for Efe to kick off a flying career.